Everyone should be prepared for retirement, yet only few are actually aware of how they should go about it. 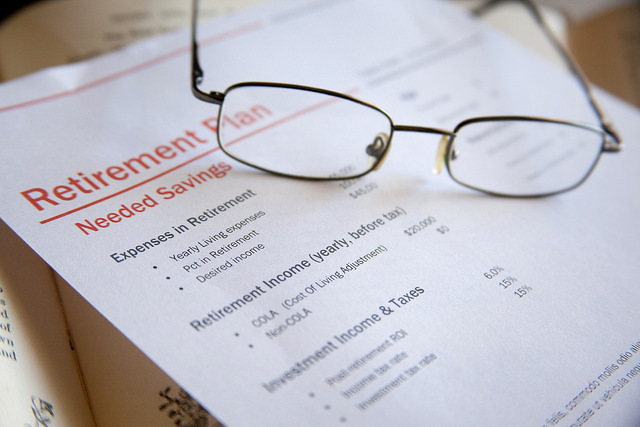 Based on the recent Retirement Income Strategies and Expectations (RISE) survey, 93% of Americans are anticipating their retirement, but only 52% of them are concerned about managing their retirement income. Although they look forward to retiring, most of them would rather invest their money in traveling (59%), spending time with their families (56%), and pursuing their hobbies (46%), or neglecting other expenses that might drain their retirement money. If your current employer offers a traditional 401 (k) scheme, then leverage it for your retirement. This plan allows you to contribute your pre-tax money for your retirement income, which drops your take-home money by only $85. Thus, you are investing more of your income without feeling the burden of it on your monthly budget. Some employers offer a Roth 401 (k) plan. Compared to the traditional option, it uses the amount of income after tax deduction. But, we suggest that you first know your retirement income tax bracket to assist you in deciding the best option for you. The best way to ensure that your retirement money is still earning like a regular income is through investments. But, there are various investment opportunities available on the market, which can be overwhelming for first-timers. Mitchell Tuchman wrote in a Forbes article some highly recommended investments that retirees can take advantage of including annuities, mix of stocks and bonds, forex trading with long term goals, and a balanced portfolio of six to eight investment types. But, as an investor, you have to know the smart way to invest. This means understanding the industry and market you are dealing with, building realistic goals and expectations, taking calculated risks and preparing for loss, as well as knowing the elements that can affect your investment and asset’s value. To be more effective, FXCM suggests ‘moving averages’ by evaluating price history to interpret price fluctuations and trends. You will only be able to do all of these if you are equipped with the right knowledge and background about the investment you are about to consider. There is plenty of information available for retirees regarding investing; often it’s overwhelming and it can discourage people instead of instilling them with confidence. New comers can easily get the impression that the best way to go about it is to pull out their stocks or investments when the chance of loss is high. But experts at CNN actually suggest that the best approach is to diversify your portfolio by mixing stock and bond funds. “As you get older, however, you’ll want to take greater care in protecting your savings from severe market downturns, which typically means moving more of your savings into bond funds to dampen your portfolio’s ups and downs,” states Money CNN. If you want to pad your bank account during retirement and you own your own home then a reverse loan may be the choice for you. When you take out a reverse mortgage your lender will calculate the percentage of your home equity that you can borrow and establish a timetable for repayment. You must pay the money back during that time, but the advantage is that you can choose when and how you pay, rather than paying it back at regular intervals. Of course, a reverse loan disadvantage is the fact that such loans come with high interest. Also, you may not move out of the home or your entire loan balance will be due right away. Your retirement should be the best part of your life, where you are rewarding for your many years of hard work. But, splurging it all on traveling and shopping is not the right way to go about it. Retirees must know where to invest their money to cover unanticipated bills while sustaining growth over time – thus investing is the best option. Are you prepared for your retirement? ThriftyJ has been guest blogger for several reputable websites online. She specializes in business, financial, and technology. She has been assigned to various country to cover international events. With a wide range of knowledge and specialization, she is the go-to person of various websites. Watch out for her own blog soon!